The essence of spiritual practice is your attitude toward others. When you have a pure, sincere motivation, then you have right attitude toward others based on kindness, compassion, love and respect. 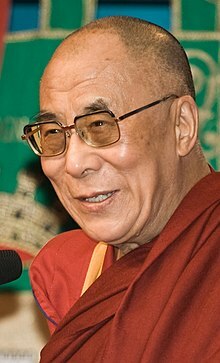 His Holiness, Tenzin Gyatso, the 14th Dalai Lama (born 6 July 1935). 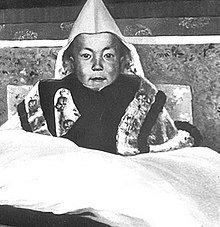 Head of state and spiritual leader of the people of Tibet; Awarded the 1989 Nobel Peace Prize; born Lhamo Dhondrub, renamed Jetsun Jamphel Ngawang Lobsang Yeshe Tenzin Gyatso (Holy Lord, Gentle Glory, Compassionate, Defender of the Faith, Ocean of Wisdom) upon being officially recognized as the Dalai Lama. Tibetans often refer to him as Yeshe Norbu, the "Wishfulfilling Gem" or just Kundun - "The Presence." My true religion is Kindness. Variant: My religion is very simple. My religion is kindness. As quoted in Tibet, a Guide to the Land of Fascination (1988) by Trilok Chandra Majupuria and Indra Majupuria. Kindness, Clarity, and Insight (1984). There is a saying in Tibetan that “at the door of the miserable rich man sleeps the contented beggar”. The point of this saying is not that poverty is a virtue, but that happiness does not come with wealth, but from setting limits to one’s desires, and living within those limits with satisfaction. In Rubin, Gary (April 2013). Your Emotional Fitness: Everything You Need to Know to Live a Life of Abundance. Balboa Press. pp. 173–. ISBN 978-1-4525-7059-4. .
Great wealth can only be obtained through deception and corruption. 37 Practices of the Bodhisattva, teaching at Bodhgaya (January 1974). 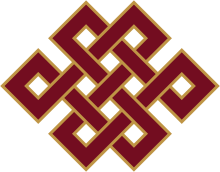 The Dalai Lama at Harvard: Lectures on the Buddhist Path to Peace (1988) by Jeffrey Hopkins. As quoted in Nobel Prize Winners (1991) by Lisa F. Dewitt. Freedom in Exile: The Autobiography of the Dalai Lama (1991). Thousands — millions and billions — of animals are killed for food. That is very sad. We human beings can live without meat, especially in our modern world. We have a great variety of vegetables and other supplementary foods, so we have the capacity and the responsibility to save billions of lives. I have seen many individuals and groups promoting animal rights and following a vegetarian diet. This is excellent. Certain killing is purely a "luxury." … But perhaps the saddest is factory farming. The poor animals there really suffer. I once visited a poultry farm in Japan where they keep 200,000 hens for two years just for their eggs. During those two years, they are prisoners. Then after two years, when they are no longer productive, the hens are sold. That is really shocking, really sad. We must support those who are attempting to reduce that kind of unfair treatment. An Indian friend told me that his young daughter has been arguing with him that it is better to serve one cow to ten people than to serve chicken or other small animals, since more lives would be involved. In the Indian tradition, beef is always avoided, but I think there is some logic to her argument. Shrimp, for example, are very small. For one plate, many lives must be sacrificed. To me, this is not at all delicious. I find it really awful, and I think it is better to avoid these things. If your body needs meat, it may be better to eat bigger animals. Eventually you may be able to eliminate the need for meat. I think that our basic nature as human beings is to be vegetarian — making every effort not to harm other living beings. If we apply our intelligence, we can create a sound, nutritional program. It is very dangerous to ignore the suffering of any sentient being. Interview in Worlds in Harmony: Dialogues on Compassionate Action, Berkeley: Parallax Press, 1992, pp. 20-21. Interview in The New York Times (28 November 1993). The Dalai Lama's Book of Wisdom (2000). From the moment of birth every human being wants happiness and freedom and wants to avoid suffering. In this we are all the same; and the more we care for the happiness of others the greater our own sense of each other becomes. Many of our problems are created by ourselves based on divisions due to ideology, religion, race, resources, economic status or other factors. The time has come to think on a deeper, more human level and appreciate and respect our sameness as human beings. And to have a respect for endangered cultures that share these principles. We are at the dawn of an age in which many people feel that extreme political concepts should cease to dominate human affairs. We should use this opportunity to replace them with universal human and spiritual values and ensure that these values become the fiber of the global family that is emerging. It is not possible to find peace with anger, hatred, jealousy or greed. At every level of society, familial, tribal, national and international, the key to a happier and more peaceful and successful world is the growth of compassion. We do not necessarily need to become religious, nor even believe in an ideology. We need only to develop our good human qualities and know that love and compassion are the most essential concepts for human survival. 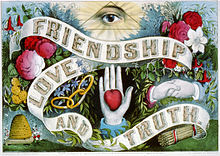 So long as human beings live and suffer, the only world open to our present knowledge, the brotherhood of man will seem an unattainable principle. In order for us to achieve real lasting peace among one another, the effort to realize that noblest and most satisfactory moral value must be occupation of every individual intelligence. The Compassionate Life (2001) Ch. 3 "Global Compassion". As quoted in Words Of Wisdom: Selected Quotes by His Holiness the Dalai Lama (2001) edited by Margaret Gee, p. 49. As quoted in Words Of Wisdom: Selected Quotes by His Holiness the Dalai Lama (2001) edited by Margaret Gee, p. 71. Each of us has the potential to contribute … You have a great opportunity to make a new shape of the world. As quoted in "Dalai Lama urges students to shape world" in The Seattle Times (15 May 2001). Conflicts do not arise out of the blue. They occur as a result of causes and conditions, many of which are within the antagonists’ control. This is where leadership is important. Terrorism cannot be overcome by the use of force because it does not address the underlying problems. In fact the use of force may not only fail to solve the problems, it may exacerbate them, and frequently leaves destruction and suffering in its wake. As quoted in A Small Drop of Ink: A Collection of Inspirational and Moving Quotations of the Ages (2003) by Linda Pendleton. Through violence, you may 'solve' one problem, but you sow the seeds for another. One has to try to develop one's inner feelings, which can be done simply by training one's mind. This is a priceless human asset and one you don't have to pay income tax on! First one must change. I first watch myself, check myself, then expect changes from others. I myself feel, and also tell other Buddhists that the question of Nirvana will come later. There is not much hurry. then automatically it will lead to Nirvana. The universe that we inhabit and our shared perception of it are the results of a common karma. Likewise, the places that we will experience in future rebirths will be the outcome of the karma that we share with the other beings living there. The actions of each of us, human or nonhuman, have contributed to the world in which we live. We all have a common responsibility for our world and are connected with everything in it. If the love within your mind is lost and you see other beings as enemies, then no matter how much knowledge or education or material comfort you have, only suffering and confusion will ensue. It is under the greatest adversity that there exists the greatest potential for doing good, both for oneself and others. 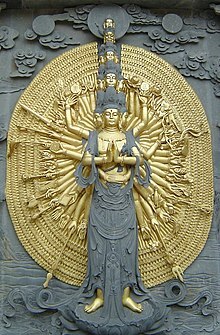 Whenever Buddhism has taken root in a new land, there has been a certain variation in the style in which it is observed. The Buddha himself taught differently according to the place, the occasion and the situation of those who were listening to him. 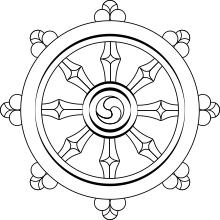 Samsara - our conditioned existence in the perpetual cycle of habitual tendencies and nirvana - genuine freedom from such an existence- are nothing but different manifestations of a basic continuum. So this continuity of consciousness us always present. This is the meaning of tantra. According to Buddhist practice, there are three stages or steps. The initial stage is to reduce attachment towards life. The second stage is the elimination of desire and attachment to this samsara. Then in the third stage, self-cherishing is eliminated. To develop genuine devotion, you must know the meaning of teachings. The main emphasis in Buddhism is to transform the mind, and this transformation depends upon meditation. in order to meditate correctly, you must have knowledge. Anything that contradicts experience and logic should be abandoned. From one point of view we can say that we have human bodies and are practicing the Buddha's teachings and are thus much better than insects. But we can also say that insects are innocent and free from guile, where as we often lie and misrepresent ourselves in devious ways in order to achieve our ends or better ourselves. From this perspective, we are much worse than insects. We humans have existed in our present form for about a hundred thousand years. I believe that if during this time the human mind had been primarily controlled by anger and hatred, our overall population would have decreased. But today, despite all our wars, we find that the human population is greater than ever. This clearly indicates to me that love and compassion predominate in the world. And this is why unpleasant events are "news"; compassionate activities are so much a part of daily life that they are taken for granted and , therefore, largely ignored. The fundamental philosophical principle of Buddhism is that all our suffering comes about as a result of an undisciplined mind, and this untamed mind itself comes about because of ignorance and negative emotions. For the Buddhist practitioner then, regardless of whether he or she follows the approach of the Fundamental Vehicle, Mahayana or Vajrayana, negative emotions are always the true enemy, a factor that has to be overcome and eliminated. And it is only by applying methods for training the mind that these negative emotions can be dispelled and eliminated. This is why in Buddhist writings and teachings we find such an extensive explanation of the mind and its different processes and functions. Since these negative emotions are states of mind, the method or technique for overcoming them must be developed from within. There is no alternative. They cannot be removed by some external technique, like a surgical operation." The Universe in a Single Atom: The Convergence of Science and Spirituality (2005). The New York Times (12 November 2005). [Tibetan Buddhism is] not just for Tibetans: it can do good for billions of people in our modern world. The Tibetan state is located between two of the world's great powers, India and China. Good relations between these powers are crucial for world peace. Tibet has an important role to play. "I am a simple Buddhist monk: Dalai Lama" in The Times of India (6 July 2006). News conference in Vancouver, B.C. as quoted in The Globe and Mail. (8 September 2006). If a woman reveals herself as more useful the lama could very well be reincarnated in this form. Forgiveness doesn't mean forget what happened. … If something is serious and it is necessary to take counter-measures, you have to take counter-measures. On the killing of al-Queda terrorist leader Osama bin Laden by US military forces, as quoted in "Dalai Lama suggests Osama bin Laden's death was justified" by Mitchell Landsberg, in The Los Angeles Times (4 May 2011). When we look into the face of every single refugee, especially the children and women, we can feel their suffering. A human being who is a bit more fortunate has the duty to help them. On the other hand, there are too many now. Europe, for example Germany, cannot become an Arab country. Germany is Germany. There are so many that in practice it becomes difficult. [F]rom a moral point of view too, I think that the refugees should only be admitted temporarily. The goal should be that they return and help rebuild their countries. I am optimistic that the ancient values that have sustained mankind are today reaffirming themselves to prepare us for a kinder, happier twenty-first century. As we enter the final decade of this century I am optimistic that the ancient values that have sustained mankind are today reaffirming themselves to prepare us for a kinder, happier twenty-first century. I pray for all of us, oppressor and friend, that together we succeed in building a better world through human understanding and love, and that in doing so we may reduce the pain and suffering of all sentient beings. We have to learn to live in harmony and peace with each other and with nature. That is not just a dream, but a necessity. When I meet people in different parts of the world, I am always reminded that we are all basically alike: we are all human beings. Maybe we have different clothes, our skin is of a different colour, or we speak different languages. That is on the surface. But basically, we are the same human beings. That is what binds us to each other. That is what makes it possible for us to understand each other and to develop friendship and closeness. Because we all share this small planet earth, we have to learn to live in harmony and peace with each other and with nature. That is not just a dream, but a necessity. We are dependent on each other in so many ways, that we can no longer live in isolated communities and ignore what is happening outside those communities, and we must share the good fortune that we enjoy. Inner peace is the key: if you have inner peace, the external problems do not affect your deep sense of peace and tranquility. I speak not with a feeling of anger or hatred towards those who are responsible for the immense suffering of our people and the destruction of our land, homes and culture. They too are human beings who struggle to find happiness and deserve our compassion. I speak to inform you of the sad situation in my country today and of the aspirations of my people, because in our struggle for freedom, truth is the only weapon we possess. Today, we are truly a global family. What happens in one part of the world may affect us all. This, of course, is not only true of the negative things that happen, but is equally valid for the positive developments. We not only know what happens elsewhere, thanks to the extraordinary modern communications technology. We are also directly affected by events that occur far away. Our own security is enhanced when peace breaks out between warring parties in other continents. But war or peace; the destruction or the protection of nature; the violation or promotion of human rights and democratic freedoms; poverty or material well-being; the lack of moral and spiritual values or their existence and development; and the breakdown or development of human understanding, are not isolated phenomena that can be analysed and tackled independently of one another. In fact, they are very much interrelated at all levels and need to be approached with that understanding. Peace can only last where human rights are respected, where the people are fed, and where individuals and nations are free. True peace with oneself and with the world around us can only be achieved through the development of mental peace. Inner peace is the key: if you have inner peace, the external problems do not affect your deep sense of peace and tranquility. In that state of mind you can deal with situations with calmness and reason, while keeping your inner happiness. That is very important. Without this inner peace, no matter how comfortable your life is materially, you may still be worried, disturbed or unhappy because of circumstances. Responsibility does not only lie with the leaders of our countries or with those who have been appointed or elected to do a particular job. It lies with each one of us individually. I am deeply touched by the sincere concern shown by so many people in this part of the world for the suffering of the people of Tibet. That is a source of hope not only for us Tibetans, but for all oppressed people. I would like to take this opportunity to explain the Zone of Ahimsa or peace sanctuary concept, which is the central element of the Five-Point Peace Plan. I am convinced that it is of great importance not only for Tibet, but for peace and stability in Asia. It is my dream that the entire Tibetan plateau should become a free refuge where humanity and nature can live in peace and in harmonious balance. the establishment of international and regional organisations for the promotion and protection of human rights would be encouraged in Tibet. For as long as space endures, and for as long as living beings remain, until then may I, too, abide to dispel the misery of the world. For the stability and peace of Asia, it is essential to create peace zones to separate the continent's biggest powers and potential adversaries. When I visited Costa Rica earlier this year, I saw how a country can develop successfully without an army, to become a stable democracy committed to peace and the protection of the natural environment. This confirmed my belief that my vision of Tibet in the future is a realistic plan, not merely a dream. I believe that our Tibetan ability to combine spiritual qualities with a realistic and practical attitude enables us to make a special contribution, in however modest a way. This is my hope and prayer. There isn't anyone who doesn't appreciate kindness and compassion. As quoted in "Tibet's Living Buddha" by Pico Iyer, p. 32. "Kindness and Compassion" p. 47. "A Talk to Western Buddhists" p. 87. As time passes I have firmed my conviction that all religions can work together despite fundamental differences in philosophy. Every religion aims at serving humanity. Therefore, it is possible for the various religions to work together to serve humanity and contribute to world peace. "The Nobel Evening Address" p. 115. Often attributed to the Dalai Lama, or as author shanx dee, this appears to be a loose adaptation of the work of Jim Brown, published by Reata Strickland as An Interview with God ISBN 0743229576. "Man…. Because he sacrifices his health in order to make money. Then he sacrifices money to recuperate his health. And then he is so anxious about the future that he does not enjoy the present; the result being that he does not live in the present or the future; he lives as if he is never going to die, and then dies having never really lived." "What surprises you most about mankind?" "That they get bored of being children, are in a rush to grow up, and then long to be children again. That they lose their health to make money and then lose their money to restore their health. That by thinking anxiously about the future, they forget the present, such that they live neither for the present nor the future. That they live as if they will never die, and they die as if they had never lived." The earliest known example of this quote comes from a January 1993 article in Time magazine, where it is associated with British businesswoman Anita Roddick:: "Even Body Shop trucks are employed as rolling billboards for pithy slogans. Roddick's current favorite, taken from the side of one of her company's lorries: IF YOU THINK YOU'RE TOO SMALL TO HAVE AN IMPACT, TRY GOING TO BED WITH A MOSQUITO". IN the 21st century, it was cited as an "African proverb". Earliest attribution to Dalai Lama is from 2004. 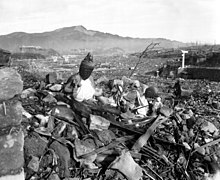 The Dalai Lama said acts of violence should be remembered, and then forgiveness should be extended to the perpetrators. But if someone has a gun and is trying to kill you, he said, it would be reasonable to shoot back with your own gun. Not at the head, where a fatal wound might result. But at some other body part, such as a leg. Hal Bernton, reporting on remarks made during a public discussion with regional high school students in Portland, Oregon, in "Dalai Lama urges students to shape world" in The Seattle Times (15 May 2001). The Norwegian Nobel Committee press release awarding the Nobel Peace Prize (1989). Nobel Peace Prize presentation speech by Egil Aarvik, Chairman of the Norwegian Nobel Committee. Tenzin Choegyal, brother of Tenzin Gyatzo, in "The Private Dalai Lama" by Ron Gluckman, in AsiaWeek magazine (10 May 1996). Richard Gere, in "My Journey as a Buddhist" an interview with Melvin McLeod in Shambhala Sun (May 1999). Richard Gere in "Interview - Unfaithful" by Rebecca Murray and Fred Tope. We used to say to the apartheid government... Come: join the winning side. His Holiness and the Tibetan people are on the winning side. I give great thanks to God that he has created a Dalai Lama. Do you really think, as some have argued, that God will be saying: 'You know, that guy, the Dalai Lama, is not bad. What a pity he's not a Christian? Tenzin Gyatso at the official Nobel Prize site.